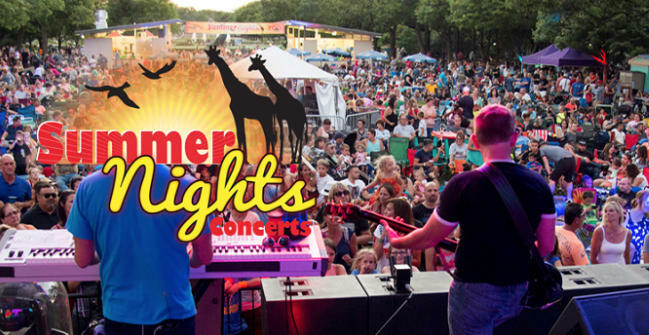 Brookfield Zoo’s Summer Nights, presented by Meijer, is back for a sixth season! Zoogoers can enjoy an evening of live music and roaming kids’ entertainment, enhanced dining experiences, a beer and wine garden, fascinating animal encounters and a spectacular laser light show. On the Main Stage Friday night, the band Semple will excite the night with music from 70’s to present– which is almost as wild as the nearby animals. On the Main Stage Saturday night, The Boy Band will energize you paying a tribute to the most classic boy bands with their performance. Summer Nights Concerts are free for members and tickets are available for purchase for non-members.